The Collected Interior: Bedside Table Ikea Hack! I've said this before, but I'll say it again...I'm in LOVE! 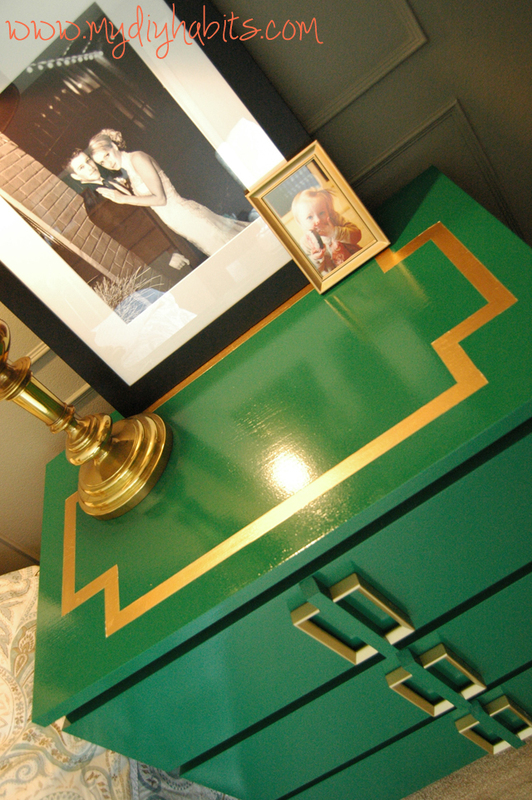 With a bedside table ;) Check out this Ikea dresser transformation from the blog My Diy Habits! 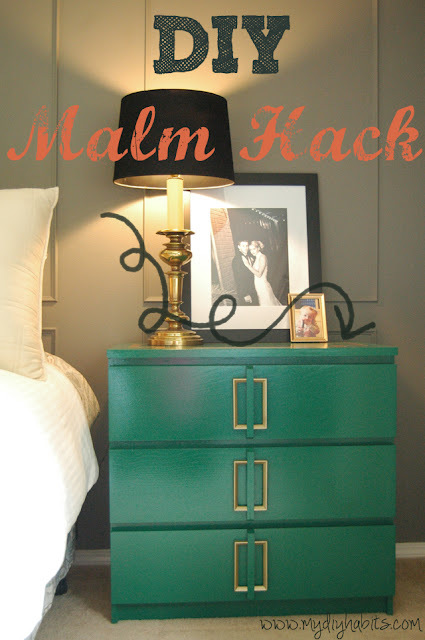 Katie took a Malm dresser from Ikea that costs just $79.99 and transformed it with simple - paint, wood, ikea handles and spray paint. And check out the greek key design, how fabulous is that! Okay give My Diy Habits a shout! You'll be INSPIRED to get your Diy ON! Gosh this end table is everywhere, I guess I'm NOT the only one who loves it so much! It's fabulous! I love the greek key design, and the gold...sigh!! Thanks so much for the shot out Jane! I'm so happy you love this table so much...I seriously can't get enough gold right now....said while I have gold leaf paint splattered all over my fingers!!! You are welcome Katie. Have to say this is one of my all time favorites! !